The Wesleyan Argus | In Memorium for Chapecoense: Can Soccer Ever be Much More Important Than Life and Death? 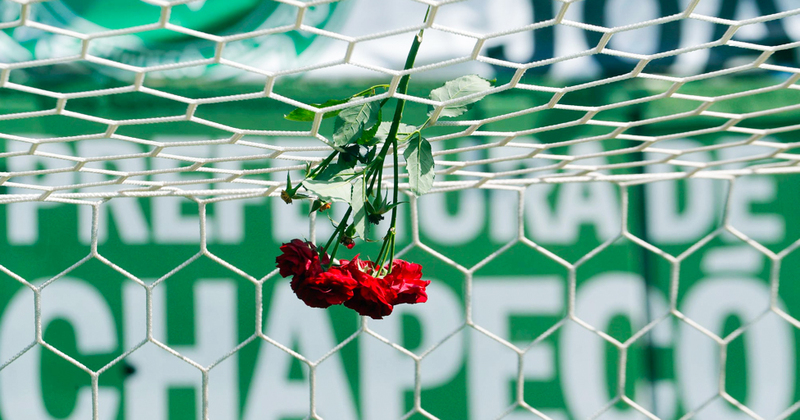 In Memorium for Chapecoense: Can Soccer Ever be Much More Important Than Life and Death? It was Nov. 24, 2016, and Brazilian soccer team Chapecoense had just played through 92 minutes to a 0-0 tie against the visiting San Lorenzo. It was good enough to secure a place in the Copa Sudamericana final on the away goals’ rule, after snatching a 1-1 draw in the first leg. Chapecoense was not well-known at all in the soccer world. The club only came into existence in the ’70s after a merger between two amateur teams, and 2014 was the first time they were promoted into the top division of Brazil’s professional soccer league. But their story was no less encouraging than Leicester’s; they had risen up the pyramid with every passing year since 2008 and had advanced to the final of the second-most prestigious club competition in South American soccer. It had been another fairytale season for Chape, and they were ready to make it better by earning their first continental title. In fact, their exhilarated fans couldn’t ask for much more, since many claimed that the journey was already huge a success for the dark horse. Their opponent was Atletico Nacional, a Colombian club from Medellin who just became the new king of South America by winning South America’s version of the Champions League, the Copa Libertadores. As soccer fans, we enjoy fairytales like Kaiserslautern, Leceister City, and Chapecoense, as they have demonstrated the appeal of the Beautiful Game. However, sometimes miracles can have a tragic ending. At around nine p.m. on Oct. 28, a plane attempted to make an emergency landing after reporting that it had suffered electrical problems. Soon after the permission was received, the British-made plane with 81 passengers on board vanished from view on flight radar, and its wreckage was later discovered in the countryside of Medellín, Colombia’s second largest city. 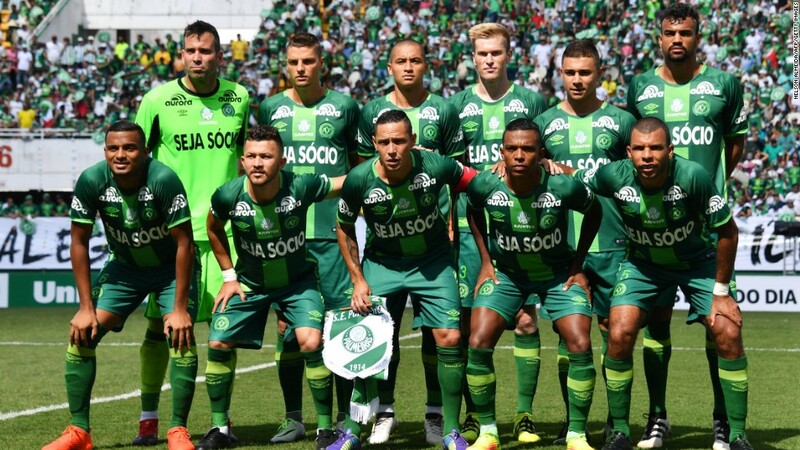 The aircraft was carrying Chapecoense soccer squad’s 22 players, who would never arrive at the stadium they’d been dreaming of. The quote has been popular among soccer fans for decades, so long that we have even made it into some sort of code that we always recite with pride. But it was really a matter of life and death for Chape. But, what about the game? The chairman of the Brazilian club said the crash had put an end to their title dreams. History tells us that if a club lost most of their first team players at the same time, it will take decades for them to recover without huge investments and a good youth system. Unfortunately, Chape has neither. And even for the mega-rich club Man United, the 1958 Munich air disaster was still a hard hit, as it derailed their title ambitions until 1968, a decade later. Nevertheless, there was only one Roger Byrne, one Duncan Edwards, and one Busby Babes generation. We often use something like this to describe how the local team shares its glory with the city and how the two come together as a community. For Chapecó, a small city of some two hundred thousand people, this cannot be more accurate. “Chapecoense is work,” a co-founder of the fan club said. “Humble players, people who lived among us. The fans, for them, were everything.” But now, the heroes they were waiting will never come back. Marcos Danilo Padilha, then goalkeeper of the team, had an incredible diving save in his last game that made into several weekly highlights. It was the epitome of his stand-out performance. But it was also a great pity: would he have made the save if he could foresee what lay ahead of him? No, I don’t believe so. As a professional and as the last line of defense, Danilo never failed his team and the supporters: it was he who pulled off four penalty saves in the quarterfinal to secure victory for Chape. Moreover, as a father, he knew his son was watching him. Nov. 30 should have been a day of glory. But now it is yet another reminder of the frivolity of Shankly’s words and all those who have suffered in the history of sports.